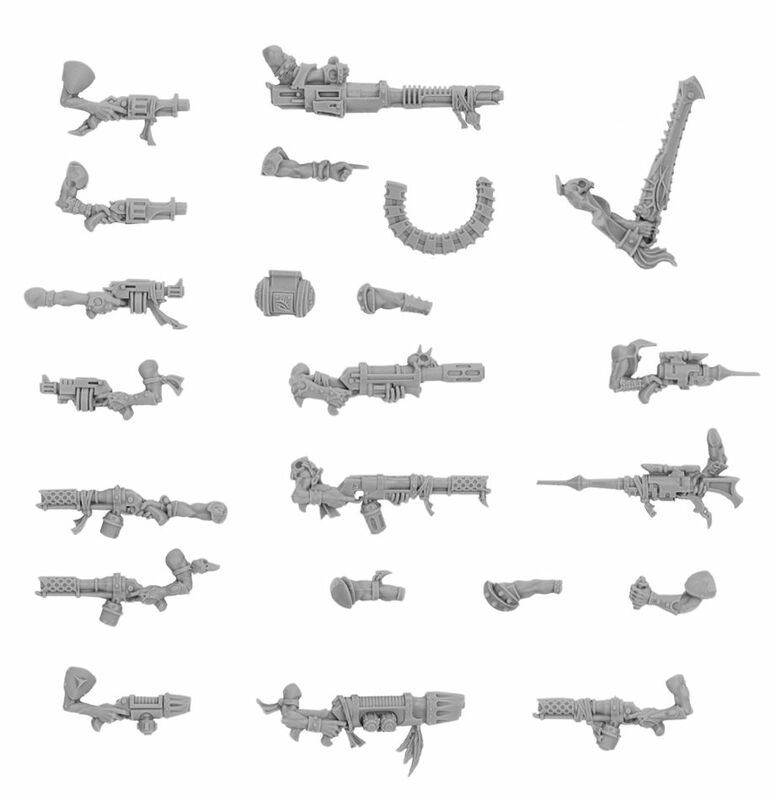 Looking for some more weapon options for your Escher Gang? 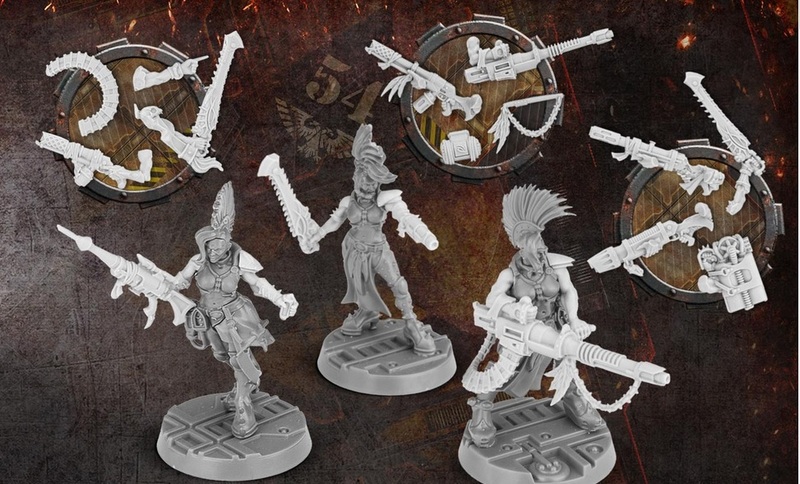 Forge World has three new packs just for the ladies! House Escher is perhaps the most strikingly different of all the Clan Houses of Necromunda. Like all the Houses it is controlled by a ruling family, and its political life and institutions are dominated by close relatives or families in service. However, unlike the other Houses which have reasonably balanced populations, that of the Escher is made up almost entirely of women. – A plasma gun and heavy stubber for a champion. 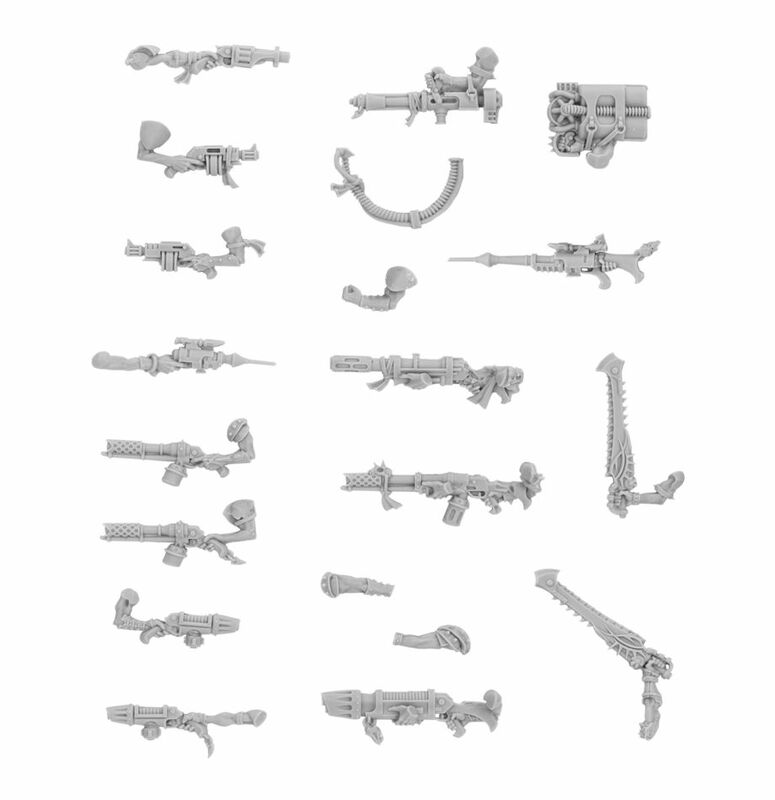 Rules for the chainsword and needle pistol are available as a PDF download, and rules for the other weapons are found in Gang War 2. – A meltagun and heavy stubber for a leader. 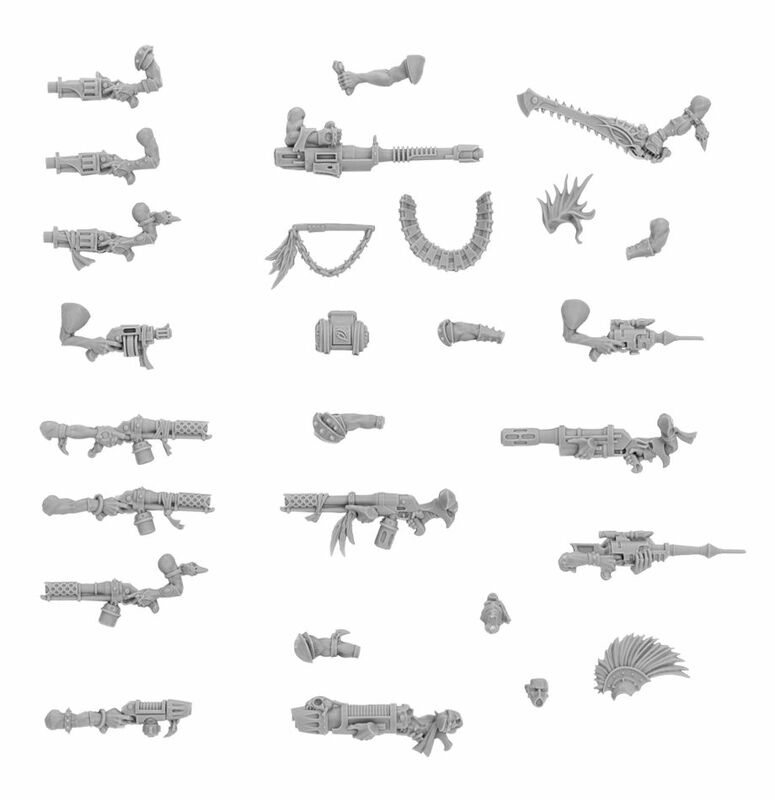 If you’d like to check out the rules and costs for these new weapon options Forge World has an updated PDF right HERE. Three new sets of weapons – time to bring the BOOM!